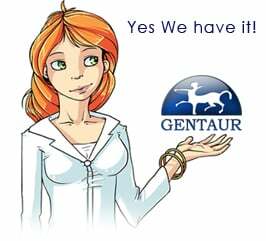 Gentaur antibody-antibodies.com The Marketplace for Antibodies : KIF1A, an axonal transporter of synaptic vesicles, is mutated in hereditary sensory and autonomic neuropathy type 2. KIF1A, an axonal transporter of synaptic vesicles, is mutated in hereditary sensory and autonomic neuropathy type 2. Hereditary sensory and autonomic neuropathy type II (HSANII) is a rare autosomal-recessive disorder characterized by peripheral nerve degeneration resulting in a severe distal sensory loss. Although mutations in FAM134B and the HSN2 exon of WNK1 were associated with HSANII, the etiology of a substantial number of cases remains unexplained. In addition, the functions of WNK1/HSN2 and FAM134B and their role in the peripheral nervous system remain poorly understood. Using a yeast two-hybrid screen, we found that KIF1A, an axonal transporter of synaptic vesicles, interacts with the domain encoded by the HSN2 exon. In parallel to this screen, we performed genome-wide homozygosity mapping in a consanguineous Afghan family affected by HSANII and identified a unique region of homozygosity located on chromosome 2q37.3 and spanning the KIF1A gene locus. Sequencing of KIF1A in this family revealed a truncating mutation segregating with the disease phenotype. Subsequent sequencing of KIF1A in a series of 112 unrelated patients with features belonging to the clinical spectrum of ulcero-mutilating sensory neuropathies revealed truncating mutations in three additional families, thus indicating that mutations in KIF1A are a rare cause of HSANII. Similarly to WNK1 mutations, pathogenic mutations in KIF1A were almost exclusively restricted to an alternatively spliced exon. This study provides additional insights into the molecular pathogenesis of HSANII and highlights the potential biological relevance of alternative splicing in the peripheral sensory nervous system.